You must set your Link password when you login the first time. Click Login to Link (opens a new page). Click Forgot Password on the Link login page. Enter your Link application email address. You will receive an email to set your password for this year. If you don’t receive your email, use the Get Help. 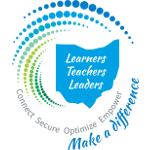 Teacher and principal learning modules, 2019 RV User Guides, 2019 RV training schedule, webinar recordings, and other resources. Click on the “plus sign” to read the steps for completing these actions. Principals can add class rosters not loaded into Link. Click "Actions" then "Add Class"
Select "full year" or "semester"
Principals and building admins can add staff not loaded into Link. Click "Add Staff" from the class view. Search for the staff member. If the person is found, click "Add"
If not found, click "Actions", then "Add New Staff." Enter the staff details (first, last, email, credential ID). After staff is added, rosters must be added for the teacher. Principals can add students to teacher rosters if the student has been loaded into Link. Principals can add a team teacher to a roster, allowing two teachers to share claim for the students. From the Class View, click "Actions" for the teacher. Select to classes to be shared. Select the teacher to add the rosters. These steps will copy any roster of students to another course and can be performed between teachers. This process acts like an insert or append to the current roster. Click on "Copy Student Roster"
Choose either "include membership and % Instruction" or "Default to entire term and 0% instruction"
Review your selections and if they are ok, click on "Add Student Roster"
Principals must update alerts to view the most current list. If claim is correct, click "Acknowledge Alert" then click "Save"
From the Class View, click the "Action" button next to the class. **After changes are made to a reopened roster, the roster must be submitted and re-approved. This will complete your Roster Verification process. Principals can move a roster to a new teacher. Select the include the existing membership and % or to default to 0%. Click "Continue" then "Transfer Class"
Principals can update the course content area if a class is assigned to the wrong test. Displays form for specific request. Who is my Link provider? Six digits with leading zeros. 1. Download the Student Template Excel spreadsheet. 2. Enter the student information. All columns with blue are required. 3. Upload the completed file with your request. 2. Enter all information. All columns with blue are required. Please read the quick step guide for Manage Alerts (to the left or above). If that does not help, provide as much detail as possible below when your submit your request for support. Please explain your other request with details about what you are trying to do or what is not working. If this is an emergency, please call 844-K12-OHIO for help.